Καλοτοποθετημένο στη παραλίες, ρομαντικές στιγμές περιοχή της Κοχ Κουντ πόλης, το Pa Hin Sai Resort Kohkood είναι το κατάλληλο μέρος για να χαλαρώσετε από τις πολυάσχολες μέρες σας. Από εδώ, οι επισκέπτες μπορούν να έχουν άμεση πρόσβαση σε όλα όσα η πόλη έχει να προσφέρει. Με την βολική του τοποθεσία, το ξενοδοχείο προσφέρει εύκολη πρόσβαση στους προορισμούς της πόλης που πρέπει οπωσδήποτε να δείτε. Με τις υψηλού επιπέδου υπηρεσίες και την μεγάλη ποικιλία ανέσεων, το Pa Hin Sai Resort Kohkood δεσμεύεται ότι η διαμονή σας θα είναι όσο πιο άνετη γίνεται. Κατά την διαμονή σας σε αυτό το υπέροχο ξενοδοχείο, μπορείτε να απολαύσετε τα ημερήσιος καθαρισμός, ασύρματη σύνδεση Wi-Fi σε δημόσιους χώρους, εγκαταστάσεις μπάρμπεκιου, εστιατόριο, υπηρεσία πλυντηρίου. Το Pa Hin Sai Resort Kohkood διαθέτει 10 δωμάτια. Όλα τους είναι διακοσμημένα με γούστο και πολλά από αυτά παρέχουν ανέσεις όπως ιδιωτική είσοδος, πετσέτες, δωμάτια για μη καπνίζοντες, μπαλκόνι/αίθριο, ανεμιστήρας. Το ξενοδοχείο προσφέρει φανταστικές εγκαταστάσεις, συμπεριλαμβανομένων των κανό, καταδύσεις, ψάρεμα, μασάζ, κήπος, για να σας βοηθήσουν να χαλαρώσετε μετά από μια γεμάτη δράση μέρα στην πόλη. Όποιος κι αν είναι ο σκοπός της επίσκεψης σας στη Κοχ Κουντ, το Pa Hin Sai Resort Kohkood είναι μια εξαιρετική επιλογή για μια χαρούμενη και συναρπαστική απόδραση. This is the place you really want to miss on your holiday. The reviews are terrible but we didn't listen:) So we tried and it is seriously awful! Dirty rooms. Frogs, lizards, rats, spiders and more on your room every day. We stayed 5 nights and no one cleaned our room for the whole time. Not even garbage bins, let alone new toilet papers. Also, it was the only place in Thailand where people were very unpleasant. I wish we would stay somewhere else. very nice beach , many mosquitoes!! Stayed in the small hut(only one available). Room was clean. No luxurary but basic hut with nice decorations like pictures and shells. Hot shower and western toilet. Could hear the waves, only 20m from the beach. For the price a good find on koh kood! Bar staff was more of a quiet person, but actually very friendly. Would stay again! It's a great beach with no one around, almost private. You can rent motorbikes at the lobby. I wouldn't recommend it to people with disabilities because you need to walk around 5 minutes up and down hill to get to the place. Others will give you more luxury on the island but honestly, the view, the empty beach, the staff cannot be beaten! We stayed there for 12 nights. Absolutely nothing to complain. 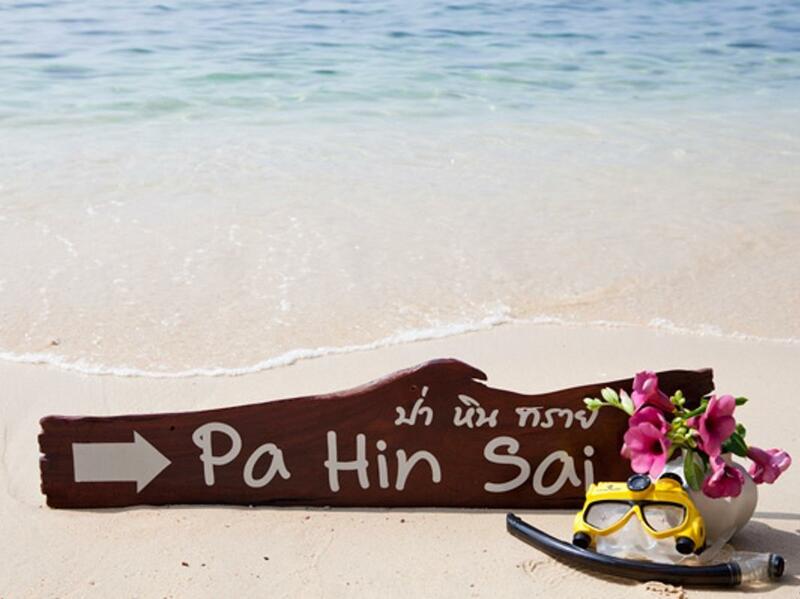 The place is perfect for a getaway from the busy and touristic areas from the rest of Thailand. Not for party seekers, but for those whose are about to lay down and relax thw place is perfect. Nothing too fancy, but nothing too budget either. Would defenletly come back if possible! All huts are located right in front of the sea, with spacious gaps in between so you have the sense of escaping from the tourist trap. It is more basic than other accommodation of a similar price. The staff were very nice and friendly but a bit of work to the huts and cleaning the rooms daily would go a long way (we had to ask them on Day 3 to do this) We found various bugs in our bathroom which could be prevented with a simple gauze. The lighting was really bright and sterile inside the room, but they lent us a candle so we could create some ambience. The location is good. But the quality of room is not good. Also few of holes in bathroom. And insects on the foor and below the bed area. There is no compound or fense around the plane and that gives ways for all creatures to come from the bush behind. There is no internet inside the room and hence unable to use internet to call in case of emergency. Though I booked for 2 nights, I came out of the place by staying one night and the book another nearby hotel. As expected, I didn't get the refund too. me and friends are not liking to stay in this place and will not recommend. I had a small hut to myself that was beach front. Quiet and not your usual crowdy resort. I loved every moment of my stay. I will return if given the chance! The only sad thing is the sea garbage that finds its way to the shore. We have really enjoyed our stsy st Pa Hin Sai and established great relationship with the staff. Nice people! I would recommend this wonderful resort to people who really loves nature. The hut is big and clean. Staffs are very nice. Food is good. Resort is located in private beach, very quiet and peaceful. But not recommend for people who expects luxurly. With the price you pay, this is one of the best place to be. Pa Hin Sai Resort is a really basic accommodation, however you got everything you need, the beach is beautiful and die food is delicious. The location is pretty great and the views are really beautiful. Not only the bungalow itself was cute, but the view outside was amazing as well, even though we were staying there during the low season. The staff was friendly, but only a couple of them spoke English (and one of them was a French guy, who said he was about to start a business of his own, so I guess he's not going to be there for long). There's a cheap motorbike rental at their place and they even gave us back half of our money, because we were only out for a few hours, instead of the whole day due to an accident. The beach has a lot of rocks on it and the waves are rather large and strong. Bang Bao bay is better for people who want calm waters. The bungalow is really dirty. The drainage hole in the shower has become stuck because of some growth, so there was a second one, which also had some growth coming out of it. It also was the entry point of mice into our bungalow. The host said that we attracted mice because we had food in our room (we had a bag of cashew nuts). But the mice came before we bought our nuts and actually stole our soap. We found the soap underneath the sink, along with another - older - soap, both of which were half eaten. This means that the mice were regular visitors even before we came. There is also some life living in the ceiling (we first thought it might be the lizards, but those guys never hide from people, and we never saw anything). It would not really be a problem, but they poop a lot and if you leave anything on the floor, it will likely get pooped on. We believe the net around the bed was there to protect us from the projectile poop, rather than insects. But, according to the hosts, this is normal, as the jungle is nearby. They have us a cage to catch the mice and we did (we caught two). The food in their restaurant is pretty good and the cocktails are as well, although they are a bit stronger than their counterparts in Europe. For what it is, it's a great little resort. If you're looking for a 4 or 5 star resort then this isn't the place for you, although if you're looking for somewhere simple, peaceful and beautiful to escape for a few days, then I highly recommend this place. 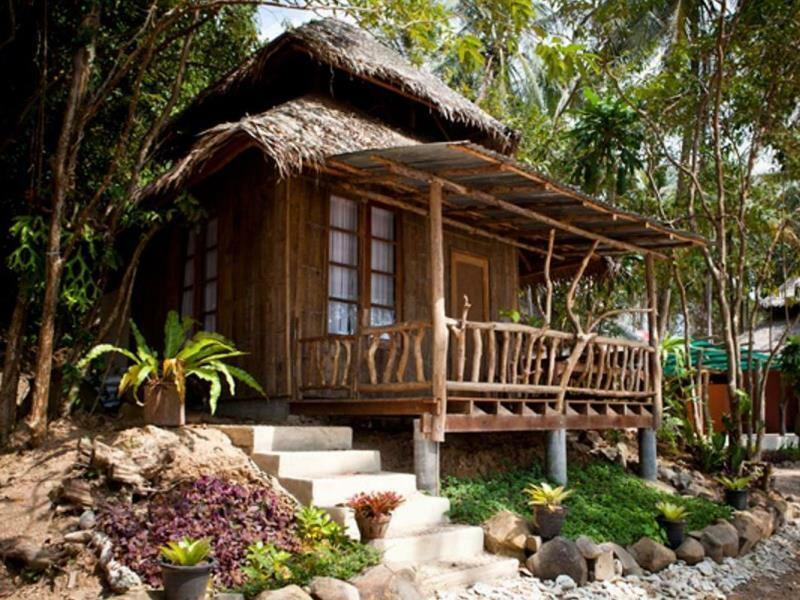 Bungalows were clean and comfortable and the ocean sounds helped soothe you to sleep every night. Loved it!